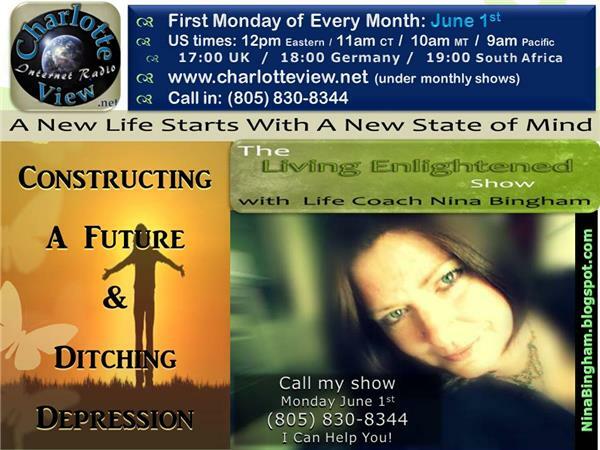 Charlotte View present Living Enlightened with Life Coach Nina Bingham. 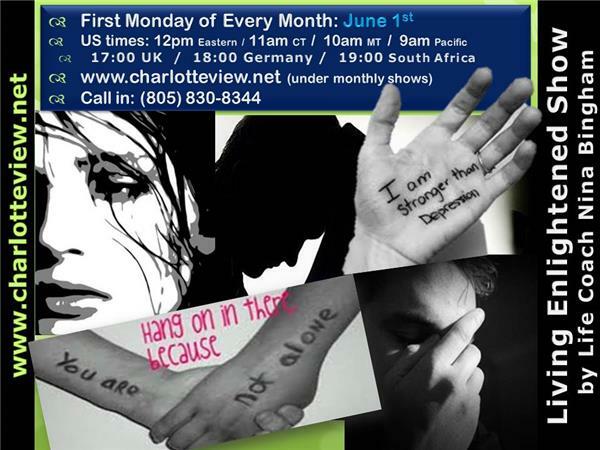 During this show Nina will give symptoms of depression, and what to do if a listener thinks they might be depressed. Then she'll discuss on constructing a future when you're so depressed that its difficult to imagine wanting a tomorrow. 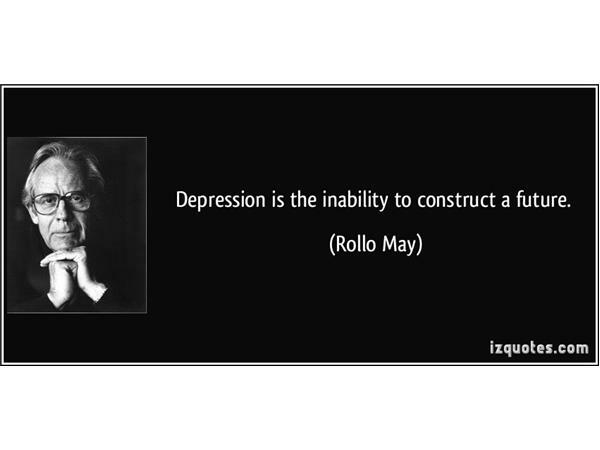 The psychologist Rollo May once described depression as “the inability to construct a future”. 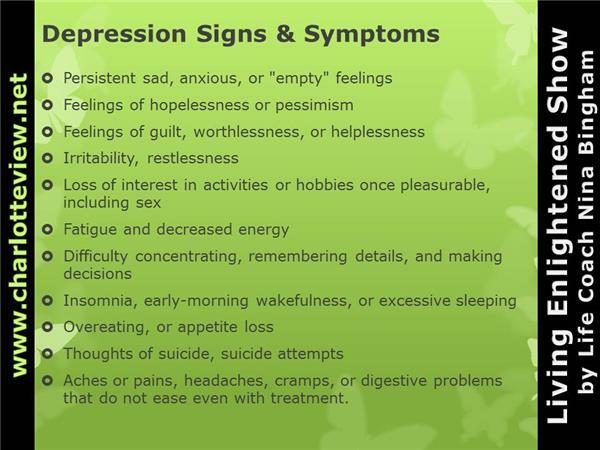 Clinical signs of depression may include some or all of the following descriptors. 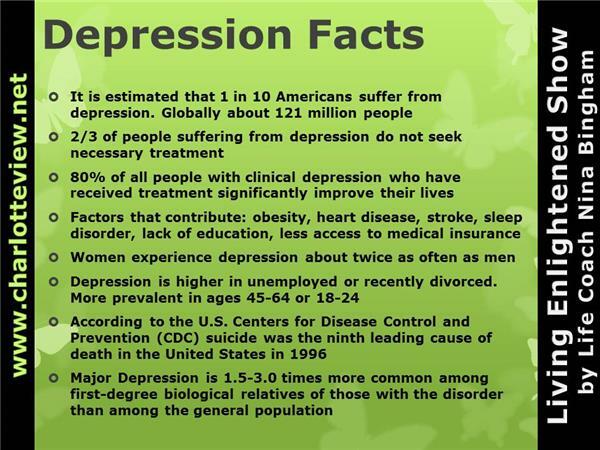 Feelings of hopelessness and helplessness, impaired concentration and difficulty making decisions, fatigue, loss of energy, or being tired all the time, low self-esteem, trouble sleeping or oversleeping the use or escalating use of drugs and/or alcohol, and/or a poor appetite or overeating. Experiencing a life full of passion and love is a phenomenal experience. 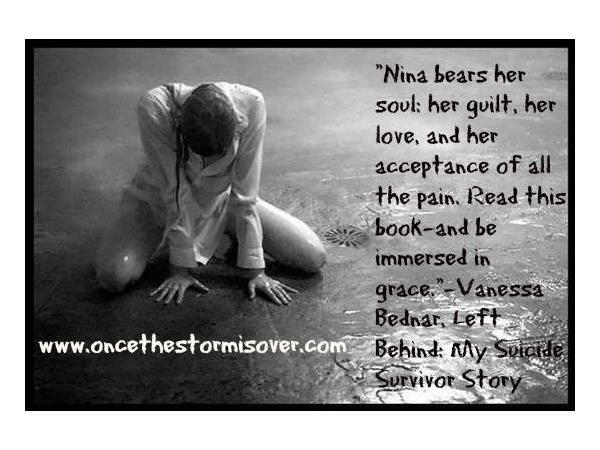 Nina knows that in order to live such a life requires that you decide to be the master of your mind and experiences. 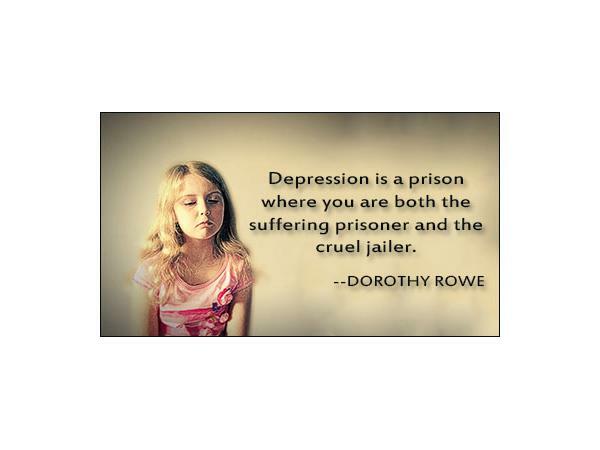 Many of us do not intuitively know how to exercise these skills and an experienced counselor or therapist provides an excellent opportunity for you to develop this mastery. 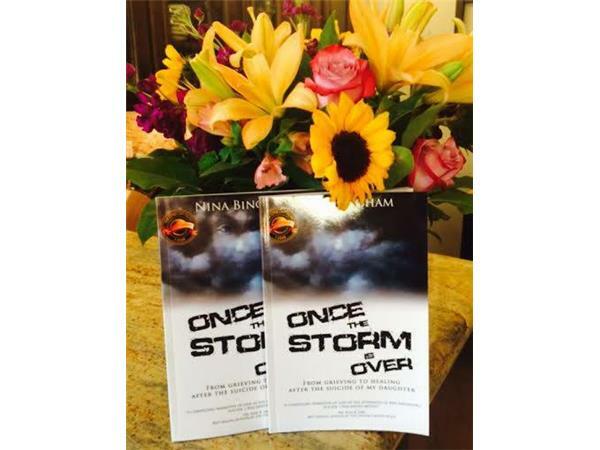 Nina Bingham provides counseling and therapy in Portland, Oregon and via SKYPE. She uses a broad range of therapeutic techniques and unique approaches for each client that are designed to provide powerful, effective and expedient ways to overcome challenges and create the life you desire. 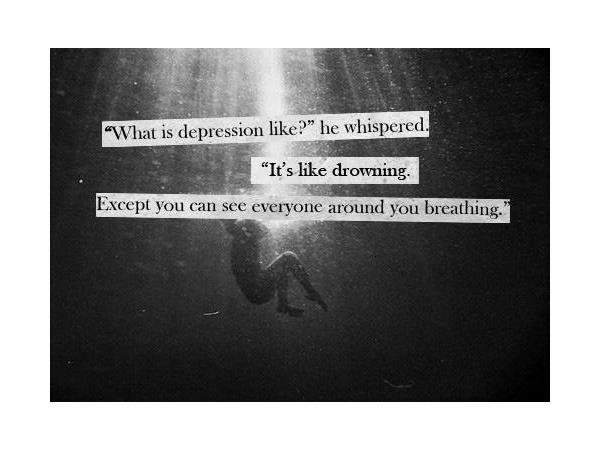 Nina’s personal experience and mental health clinical training has made her and expert life coach for depression.